Spring wells once provided the perfect solution to the problem of accessing underground springs. 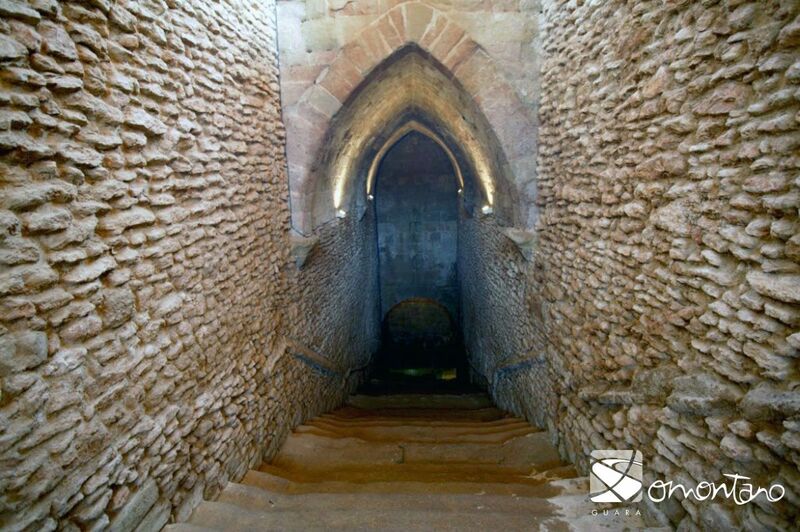 They consisted of the excavation of a deep well from the rock and the opening up of large galleries below ground. 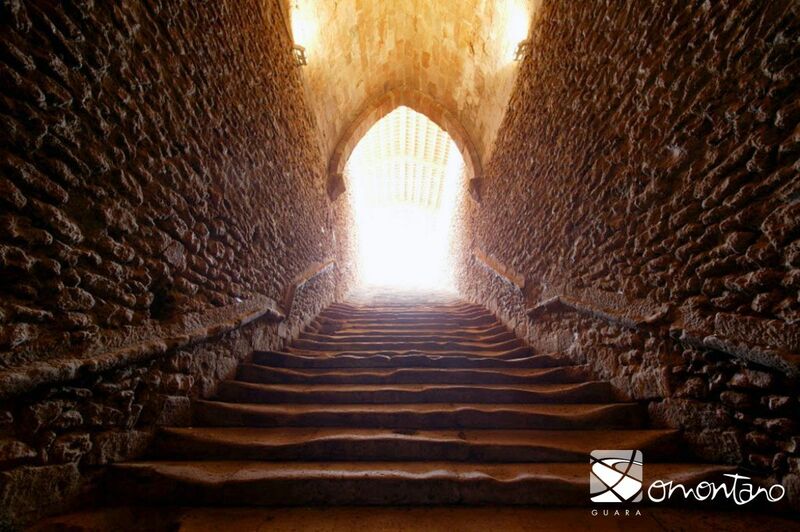 These were accessed by a staircase, which was covered in part with a vaulted ceiling. Until recently, the spring wells provided the main source of water for the inhabitants of these villages. The Pozo Nuevo (new well) of Laluenga is a monumental work of hydraulic engineering. 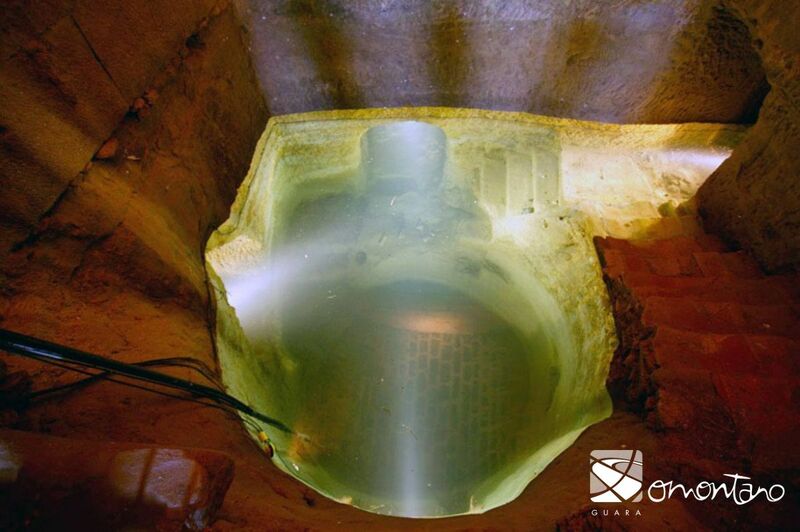 The whole structure is hidden underground and spans a depth of 30 metres between the surface and the spring itself. The barrel vault covering the well is of excellent quality and is not dissimilar in design to many medieval churches. The overall scale of the construction is huge and the beauty of the pointed vault, as well as the perfection of the perfectly cut ashlars, demonstrate the eagerness for prestige that motivated the sponsors. From the spring chamber there are three further galleries that were excavated during times of drought in search of new water sources as the flow slowed to a trickle. The prolonged use of this structure is apparent in the number of marks left by water pitchers at the edge of the well and the staircase. Laluenga boasts two further wells of this kind known as Pozo Alto and Pozo el Salado, and because of this it was chosen as the location of the Somontano Spring Well Visitor Centre.